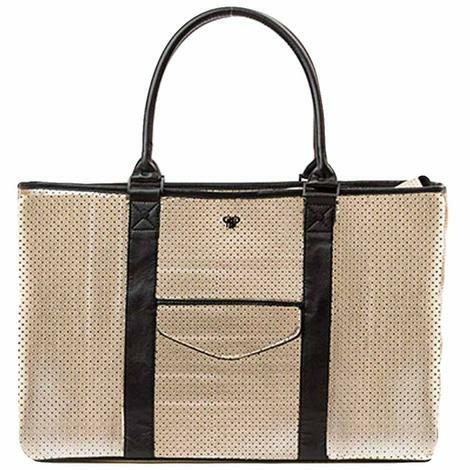 PurseN VIP Travel Tote Bag in Gold. Very stylish and resourceful handbag for women. Tote measures 24"L x 13"H x 6"W. This bag has a top zippered closure and large zippered compartment with 4 large pleaterd inside pockets. Also includes a quilted thermal lined water bottle holder and an outside fornt flap pocket.